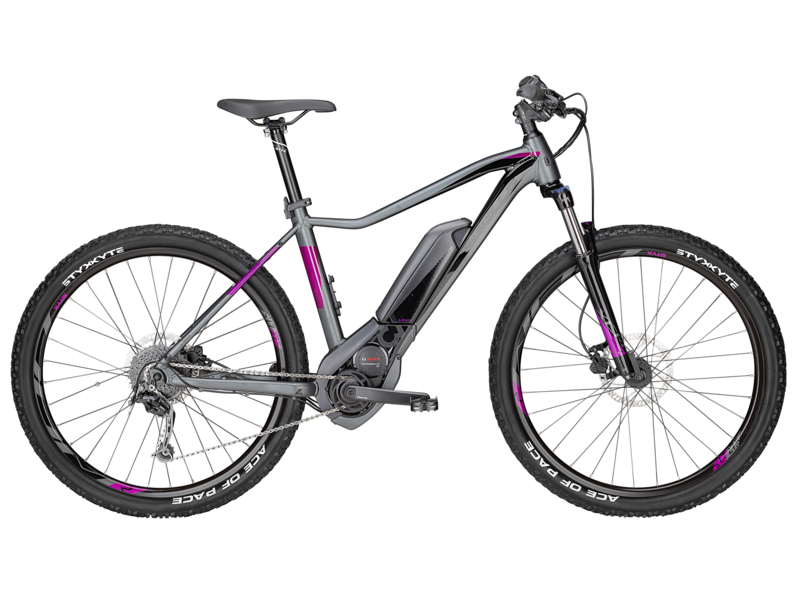 Equipped with maximum BOSCH drive unit-power, the AMINGA E1 CX provides powerful support in all-terrain and at the same time offers plenty of reserves for steep hills and extended outdoor excursions. Not without reason, e-mountain bikes are the latest trend. Sporty riding and relaxed nature experience - not only a lot of fun, but also allows for optimal, precisely controllable fitness training. Thanks to the most powerful BOSCH drive unit, you can rest assured that even the steepest hills can be mastered effortlessly. This confidence presents new perspectives: The panoramic view from the mountain to the countryside below, the enjoyment of the next descent or the pure riding enjoyment in fresh air. And the components especially designed for the female anatomy - brake lever with shorter reach, adjusted crank length, ladies’ saddle - add to the feeling of comfort and security.